Last Thursday, my nineteenth school year came to a close and by 2:00 pm my classroom was purged of all remnants left behind by my fifth graders. The room's contents, organized and put away, will now remain inert for ten weeks until my next group of students arrives in the fall. 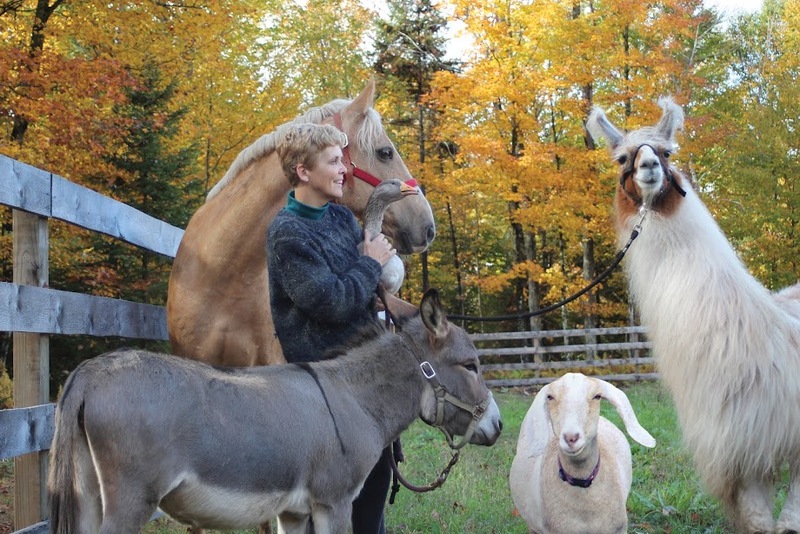 In the meantime, my life has switched gears so I can focus on the barn in my backyard where I ride, teach riding and provide full care for the horses and goats who live in it. Its a great way to spend the summer months, immersed in my passion while sharing it with adults and children from a wide range of experience and skill. The barn hums with activity from 8:00 in the morning until noon. Every vehicle's arrival is escorted into the driveway by a chorus of barking dogs announcing the obvious. From time to time two enormous truckloads of hay, (over 500 bales at a time), ascend the driveway to stock the hayloft for the coming winter. By noon the horses are resting comfortably in their stalls where they doze lazily while hiding from the heat and the bugs outside. At the end of the day I drop into bed and fall asleep to the sound of horses munching hay under the stars. From time to time the sound of a bugle can be heard faintly through the trees from our neighbor, Adirondack Woodcraft Camp. Some of my riding students are campers from AWC. The camp graciously allows interested campers to participate in my lesson program. 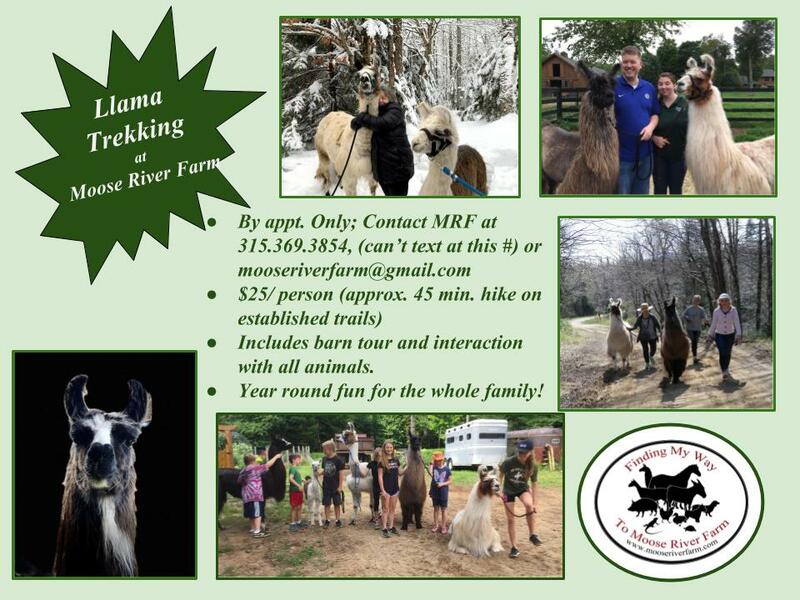 I love MRF's association with camp because it brings back so many wonderful memories, (and heartbreaking ones), from my own childhood camp experience. 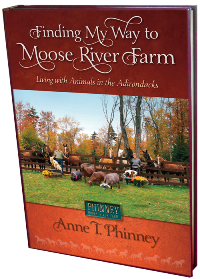 In today's excerpt from Finding My Way to Moose River Farm, I thrive as a 'Horseman' at Camp Equinita. 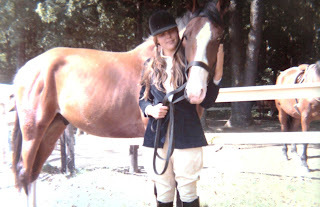 The following summer, my mother, who had spent many summers of her childhood at Girl Scout camp, sent me to a riding camp in the Endless Mountain region of New Milford, Pennsylvania, just south of Binghamton, New York. Camp Equinita was the sister camp of the well established Camp Susquehanna for boys. Both camps were owned and run by a husband and wife who spent most of the year teaching at the George School in Bucks County, PA. Their oldest daughter was an up and coming three day event rider and their camp had a wonderful reputation for real competitive riding. The camp was tastefully sprawled out on the top of a mountain with breathtaking views that I have never forgotten thirty-five years later. From the lush riding fields and outside hunt course to the quaint waterfront required several miles of walking per day. Since the barn was at the bottom of the mountain and required three trips a day up and back leading the horses on foot, we campers were kept in great physical shape. It was exciting to think that I would be with horses every day for an entire month and I would be assigned one of my very own to care for, daily. I arrived for the second session that began at the end of July and lasted for four weeks. Two hours after my parents dropped me off and settled me into my tent, I was introduced to my assigned horse. His name was Never Never Land, a great big full bodied bay Sabino Paint cross with four high white stockings and a bald face. He was beautiful and for me it was love at first sight. Every morning I was responsible for fetching Never from the fifteen acre field, where he spent the night with the entire camp herd, and leading him to his stall for breakfast. While he ate grain and hay, I groomed and checked him over from his nightly turnout. It was at Equinita that it occurred to me that not everybody who loved to ride horses was as devoted to caring for them. Many of the campers possessed impressive riding skills due to the expensive training that they engaged in throughout the year. But that training did not necessarily include or encourage connecting with the horse once the rider had dismounted. This was not true of every camper, particularly the younger girls, but it surprised me how many of the really good riders were simply not interested in participating in the daily care of the horses. The younger girls, aged 8 to 11 still appeared to be obsessed with horses, preferring to hang out at the barn more than any other venue on the enormous camp property. One of the eleven year olds who frequented the barn grew up to become accomplished actress Laura Lynney. 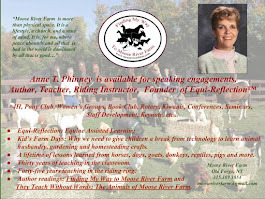 It was the older girls who seemingly became more impressed with the boy campers and less enamored with the equines that I found difficult to connect with. They spent a lot of energy trying to sneak away with the boys into the woods after Taps initiating all kinds of disturbing rumors that were whispered through camp the next morning. Luckily, two of my tent-mates, Pamela Narins from New York City and Carolyn Morgan from Bucks County, Pennsylvania did share an all consuming interest in horses with me. The three of us spent the month of August thoroughly engaged with horses. We never complained about barn chores and always tried to extend our time with horses at the expense of missing an arts and crafts activity or swim lesson to do so. Although I cared for Never daily, he was not necessarily my mount everyday in a lesson. There were others that I rode including Cocktail, Majorette, Senior Prom and New Moon, to mention just a few. My four week camp experience flew by quickly and all too soon it was time to say an emotional good bye to Never as well as all the other horses. And not once did she off of him fall! Ok. Love the post but love the long hair and britches the best! I remember wearing them. Way more cool than the ones they have today! I agree ,the long hair in ponytails is cute! I,cant believe you still have the poem after all these years. Sounds like a great way to,spend a summer. I know I commented on this before, but it gave me chills again. Thank you, Anne, for re-posting (or re-linking). My 11 year old son is going to sleepaway camp for the first time next week (his twin sister didn't feel like it). It's only for two weeks - a weird difference from growing up in NY where we were shipped off for the full eight weeks almost as soon as we were potty trained, it seemed. Anyhow, I am sewing in name tapes and buying extra batteries, and thinking of the Horseman's Call and Reveille, and the horses, the barn, and yes, that magnificent view. sigh.